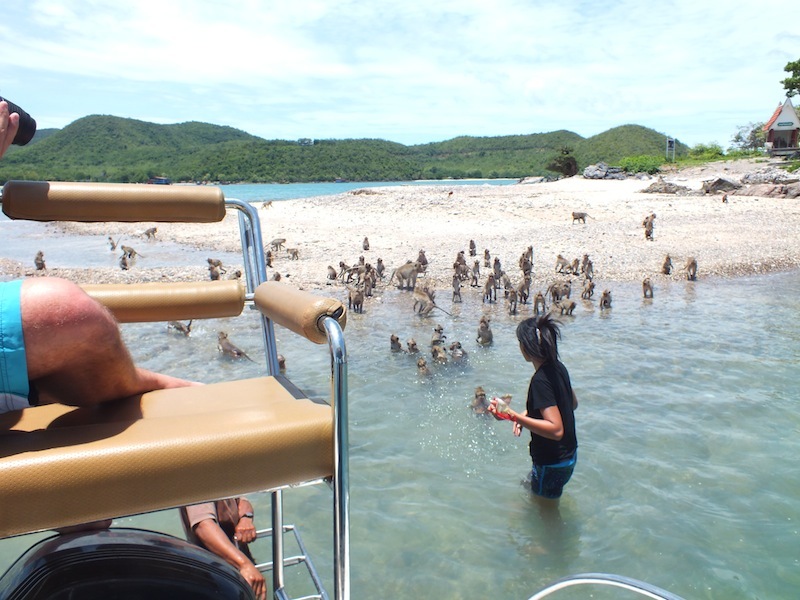 Feed and swim with these amazing Thai native monkeys! 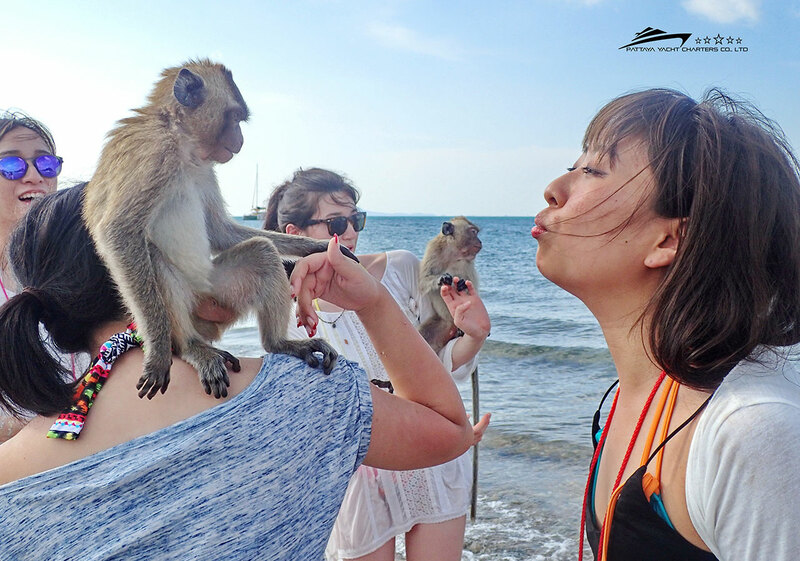 Monkey island is a small island located south of Pattaya between koh Khram and Bang Saray, known as Koh Ling to the Thai's which means monkey the actual name is Koh Ped. Monkeys live in their thousands making their home in the low lying vegetation. Mostly these primates can be seen along the southern and eastern shores eagerly waiting to greet visitors with tasty treats. There is also a Buddhist shrine guarded by a stone mermaid making for interesting photo opportunities. Feeding these monkeys is quite an experience, their favorite food is banana, watermelon and nuts and they will literally jump all over you in order to get their share. You will be amazed at how acrobatic these little animals are above or below the water. Samae Monkey's main diet is crabs, they have long tails and swim very well. But as with all primates the chance of a free lunch is more than irresistible. Monkey populations have increased dramatically over past years due to the increase In tourism which has led to food shortages in low season. The Thai Royal Navy do all they can to take care of the family during these times. 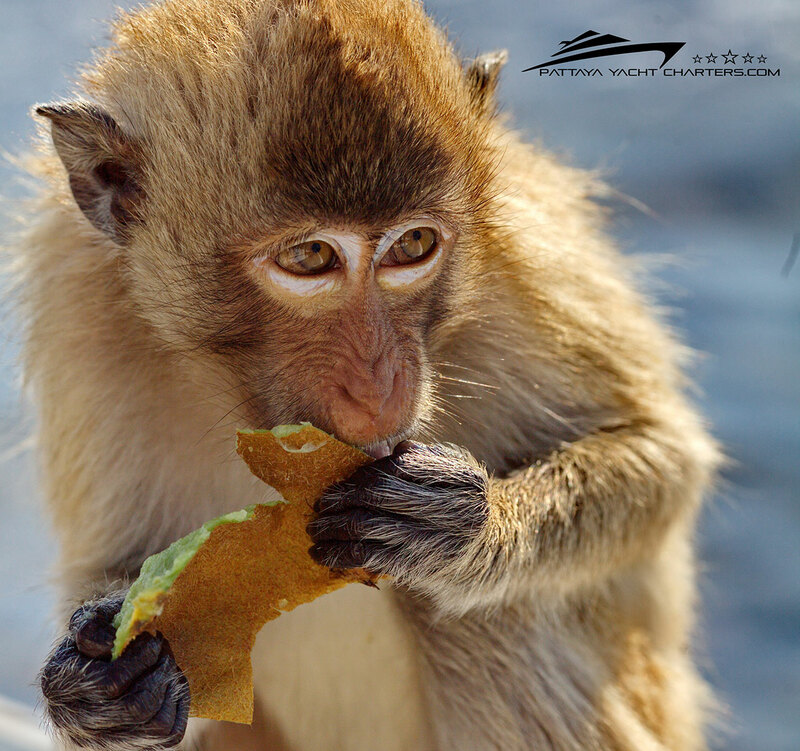 With your help we will continue to include this wonderful island in our tours showing our support in maintaining this ever growing and thriving monkey community.